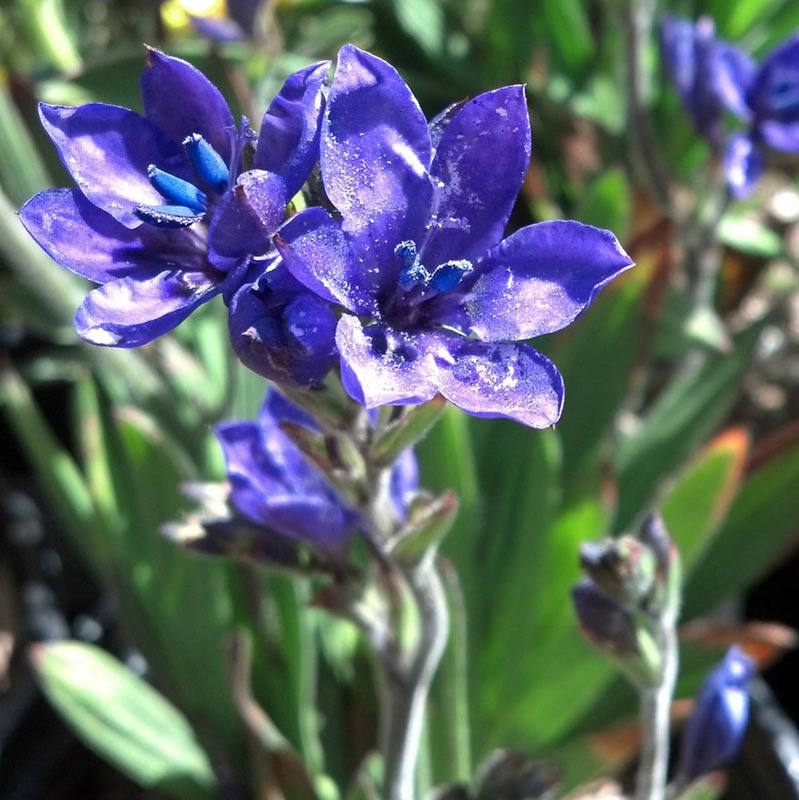 Fans of sword-shaped leaves which emerge in mid-winter, spikes of blue to violet flowers emerge in the spring. Flowers and foliage die back by summer. Keep dry when dormant.